At Half Moon House, any woman can come to Hestia Wright for help. 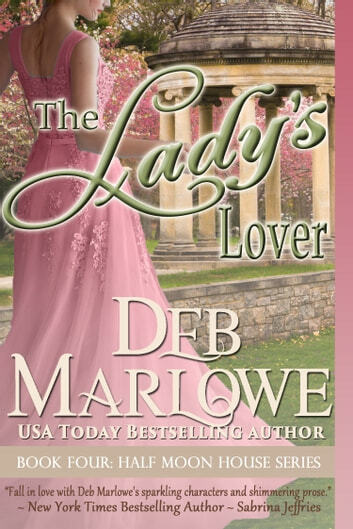 She’ll move heaven and earth to make things right for the downtrodden women of England—but she’ll never give her heart to another man. The Earl of Stoneacre has long admired Hestia. He can’t help but be smitten with a woman with her strength, honor and purpose—not to mention her legendary beauty. But she’s made her indifference plain, and Stoneacre is not a man to push in where he’s not wanted. Now they’ve been ordered to work together to defeat the Wicked Lord Marstoke once and for all. As the uneasy allies face untold peril and confront their pasts, trust and passion grow . . . but the greatest danger of all might be succumbing to a love that could never survive the obstacles in their way.